How Much Do Replacement Car Keys Cost? 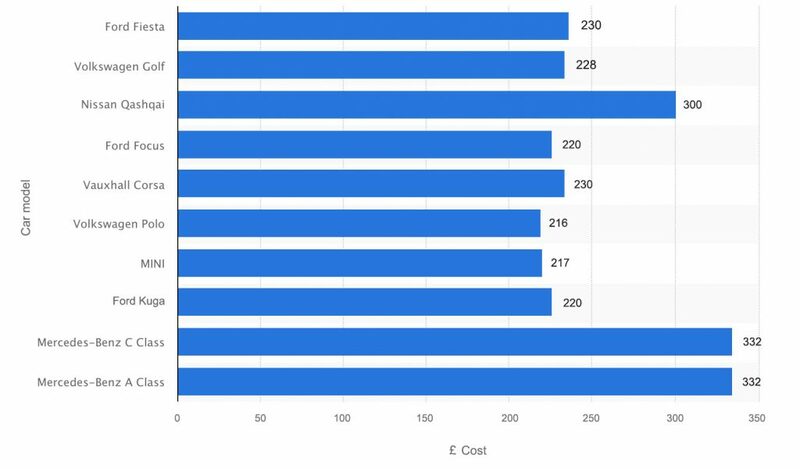 The average price of a new car key supplied from a main dealer in the UK is £252. The table below shows the main dealers price of a new car key for the top ten best selling cars in the UK. 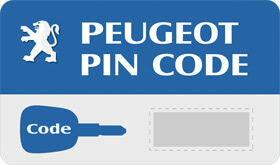 The cheapest car key is £216 for a Volkswagen Polo, whilst the most expensive is over £330 for a Mercedes A-Class key. Replacing lost car keys with an auto locksmith will significantly reduce the overall cost. Data obtained directly from relevant UK main dealers and is correct as of November 2018. 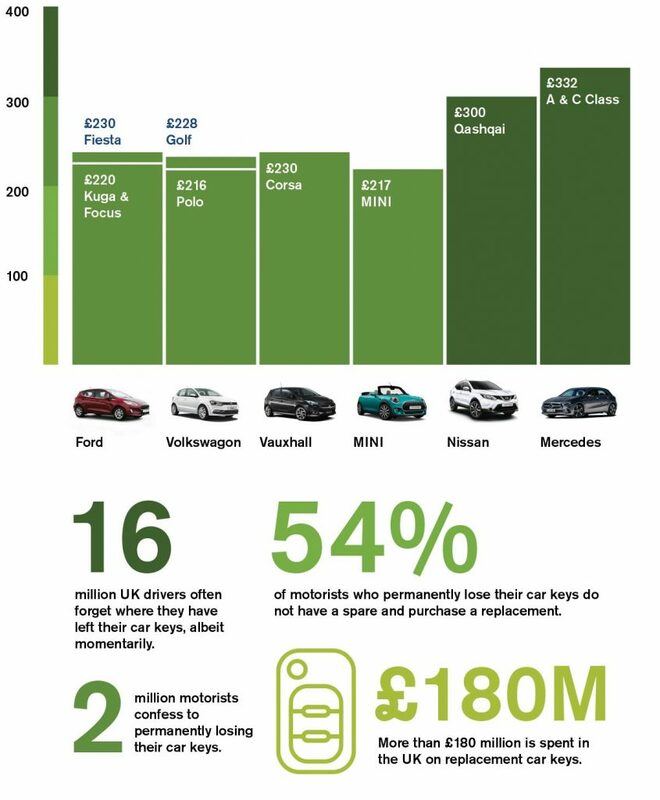 When looking at how much replacement car keys cost it’s important to be aware that there is no set price for a particular vehicle manufacturers key. Different models will utilise different keys, all at different prices. For example a Ford Fiesta key could be as low as £230 whilst a Ford Mondeo key could cost £280. Similarly to the model variations, prices can also fluctuate depending on the year of first registration. For example a 2010 Vauxhall Corsa key currently costs £217, whilst a 2017 Vauxhall Corsa key costs £230. It’s not a given that all models of a certain year or mark will have the same associated cost for a new car key. Certain editions and spec upgrades could mean an upgrade to the car key. For example a Ford Fiesta 2014 could use a flip style remote key that is turned in the ignition, or it could also use a proximity style key fob, meaning the car is started by the push of a button. It is important to remember that most main dealers are franchises and the price of a replacement car key may vary from franchise to franchise. The geographic location of the dealer could also influence the price, with dealers in the South of England likely to be the most expensive. Main dealers in the UK do not provide a mobile service for key programming, so should you lose your only car key you will need to budget for the cost of recovering your vehicle into their workshop. If you do not have a record of your vehicles key number and immobiliser code the dealer could possibly charge an extra fee for supplying this. How is the price of a replacement car key from a main dealer broken down? Whilst it may seem like some main dealers have literally plucked a price from out of the air, there is often a reason a replacement key for your car may be priced higher than expected. When you purchase a replacement car key from a main dealer there are essentially three elements that you are paying for. 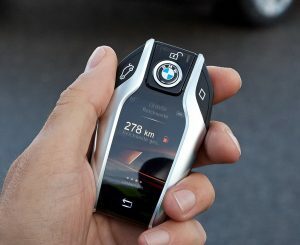 The raw key – you first pay to purchase an uncut, unprogrammed blank remote key (this is normally the highest part of the cost, and can be in excess of £300 for some cars). Vauxhall currently charge £80 for an unprogrammed 2018 Vauxhall Corsa key. The cutting – The key blade will need cutting to code to fit your locks. Even key cards and proximity keyless entry keys have an emergency key blade that will need to be cut. An additional charge may be added on to supply a key number and immobiliser code. As an example, Vauxhall currently charge £30 to supply this. The programming – There is a final cost for the dealer to program the key into your car. Programming tools can cost well over £10,000, so don’t be surprised if a dealers cost consists of a programming fee of £100 or more. Using Vauxhall as our example, their charge is £120 for key programming. Losing your car keys is extremely irritating and always seems to happen at the worst possible time. According to an RAC report collated in May 2018 43% of UK drivers frequently misplace their car keys. This amounts to over 16 million drivers. Fortunately for the majority of these drivers it is normally a temporary loss and they eventually find their keys. The report also revealed that just over 2 million UK motorists admitted to losing their keys for good. This means supplying new car keys is big business for main dealers and auto locksmith replacement car keys specialists. Another report from Which? claims that around 10% of drivers do not keep a spare car key. This is old data and we now estimate this figure to be as high as at least 20%. The increasing cost of replacing car keys could easily be attributed to an increasing number of motorists failing to invest in a spare car key. Why are car keys so expensive? The majority of people that have never had the misfortune of losing a car key are shocked when they discover how much replacement car keys cost. Unlike domestic house keys, car keys are highly sophisticated electronic devices that contain a PCB, transponder chip and battery. As already explained the blank key can be expensive to purchase for the dealer or locksmith, meaning the end price to the consumer is already more than expected. A blank car key is cut using state of the art automated key cutting machines, which cost thousands of pounds to purchase and maintain. In order to make a profit the dealer or auto locksmith will factor in the cost of of cutting the key. Programming tools for coding a new key can cost tens of thousands to initially purchase, with extra ongoing costs associated for licensing and installing new software. A cost will also be added to cover the time taken for cutting and programming the key. Anything up to one hour can be expected for such a labour fee. When you take all the factors into consideration and remember whoever is supplying the key will need to make a profit, the price of a replacement car key is often justified. So how much do replacement car keys cost? Probably more than most motorists would expect, but not so much when you fully understand how sophisticated a car key actually is and what’s involved in supplying one. Data suggests that the cost of replacing car keys is on the rise. A ford Fiesta key cost just £162 back in 2013, but five years on the price has risen by over 41% to £230. Also in 2013 a replacement key for a Nissan Qashqai would have cost £180, but you can expect to pay as much as £300 if you walked into a Nissan main dealer today. That’s more than a 66% increase! The price increase could be due to the improvements in car key technology and the introduction of proximity keyless start keys, which are able to start the car without the user having to insert the key into the ignition. There are several advantages to using an auto locksmith for replacing lost car keys. The main advantage being a significant cost saving. We are able to provide new car keys for much less than most main dealers. This is due to several factors such an ability to purchase blank car keys in bulk at a much lower rate, and lower operating costs than main dealer franchises. Let us explain a little more about our affordable car key prices. It’s worth noting that a replacement car key will always be cheaper when you still have a fully functioning key that we can work from. Our spare car keys start from as little as £70 and a fully lost key situation can be as low as £90. How much does a car key cost at The Auto Locksmith? The Auto Locksmith will always make you a considerable saving over alternative main dealer options and also save you on time and cash required to recover your vehicle to their workshop. Our prices are always lower than the price you would pay if you booked in with a main dealer. You can be confident our prices are competitive – People always like to get the best price possible and understandably like to get a few quotes before making a booking. This is why we constantly monitor what our competitors are charging and aim to give you the best possible price we can. “The cheapest option is not always the best option! You can buy a new TV for £70 but it wont have the same picture quality as a slightly more expensive trusted brand option. The same is true with auto locksmiths – If you spend long enough calling around you can probably find a lower price, but trying to save £10 on a new key could end up costing you up to £1000. It’s very easy for an inexperienced locksmith to corrupt a body control module using cheap non genuine tools”. 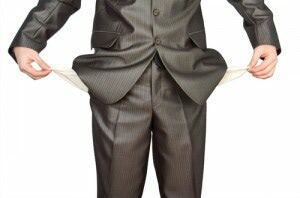 Remember – We never take cash upfront and the price you are quoted on the phone is always the price you pay! Call us now to obtain a no obligation quote on 0800 158 3798. All content on this page was written by Mark Migliaccio, owner at The Auto Locksmith. After getting a quote of £200 from Fiat I was more than happy to hand over £90 to The Auto Locksmith for a new Fiat Punto key. Great price and professional service.